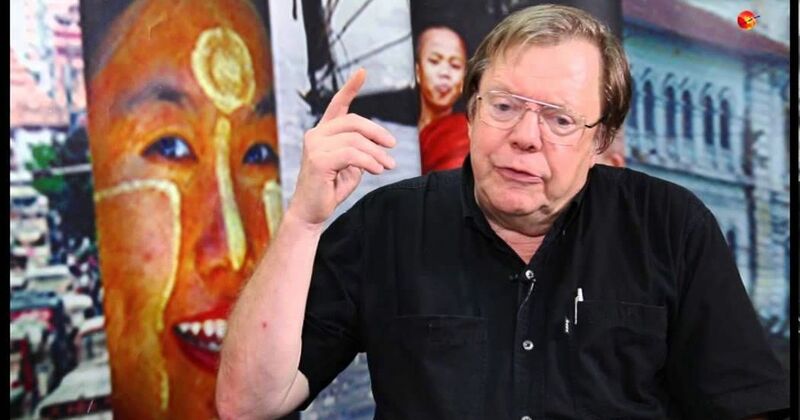 Rohingya refugee crisis: It’s not Muslims versus Buddhists, says writer Bertil LintnerThe journalist, who spent decades reporting on the excesses of the military junta in Myanmar, explains what the refugee crisis means for India and the region. Bertil Lintner, former Myanmar correspondent of the now-defunct newsmagazine Far Eastern Review, first visited the country at the age of 24 in 1977. He spent most of the next three decades reporting on the excesses of military rule, which stretched from 1962 to 2010. Linter’s work got him banned by the Myanmar military in 1985. Defying the ban, he sneaked into the country from the Naga hills in Indian territory along with his wife, Hseng Noung, an ethnic Shan from Myanmar, who had just given birth to their daughter. They spent the next 18 months travelling in the Shan and Kachin states of the country to finally reach China, braving not only inhospitable territory but also various armed ethnic groups. The result was the book Land of Jade: A Journey from India through Northern Burma to China, considered one of the most insightful works on Myanmar’s many ethnic groups and conflicts. The Swedish journalist is the author of several books on South East Asia and its politics. He spoke to Scroll.in on the Rohingya refugee crisis and what it means for India and the region. As a long-time observer of Myanmar, what do you make of the current crisis? Well, it is not a new issue. Basically, there are two questions here. One is of illegal immigration – whether it is real or imagined. And the other is the question of Islamic militancy. On August 25, this group that calls itself the Arakan Rohingya Salvation Army in English attacked police posts in Rakhine state. That provoked a massive response from Myanmar’s security forces. More than 600,000 Rohingyas have since fled to Bangladesh. Of course, the humanitarian aspect is very important here. People have been subjected to enormous brutality by the Myanmar Army. But it does not really stop there. Following the military crackdown, a spokesperson for the Arakan Rohingya Salvation Army actually said in an interview that the attacks were aimed to invoke a response. What do they gain form it? One, international attention. Two, more money from funders in West Asia, mainly Saudi Arabia and the United Arab Emirates. And three, they can expect many more angry young men to join them. Maybe they got a little more than they had bargained for. They may not have anticipated such a vicious response from the Army, but they have achieved all those three aims, I would say. And, of course, the people who are suffering are these ordinary people – poor Muslim peasants from the north-western corner of Rakhine state. And they have now become pawns in a much larger game. But there seems to be enough evidence to suggest the Rohingyas in Myanmar have been subjected to systematic oppression for years. Myanmar does not even recognise the Rohingyas as an ethnic community. Doesn’t that point to a deliberate attempt to undermine the legitimacy of a community that has lived in the country for a long time? Yes and no. There have been Muslims living there for a long time. That is for certain. If you look at the nature of that area, that is where the Indian subcontinent ends and South East Asia begins. There is the Naf river, which is now the border between Bangladesh and Myanmar. For centuries, there have been Muslims and Buddhists living on both sides of the river. There was nothing wrong at all. And there have been Muslims living in the north-western corner of Rakhine state for a long time. There is no question about that at all. Then during the British era, a Muslim population of labourers were brought into that area from the other side of the river. But they were not called Rohingya. They were called Chittagonians. Yes, there is a document by Francis Buchanan-Hamilton from 1799 that uses the word, but there is only one. Hamilton was sent by the East India committee on a mission to Burma. But he never went to Rakhine state. He went to Awa and Amarapura, cities near what is now Mandalay. There he met people from Arakan [as Rakhine was called earlier] who called themselves Rohingyas. After that there is no reference to the word for almost 150 years. But that does not make it wrong for anyone to use it, of course. However, the question of having a separate identity for Muslims in the north-western part of Rakhine who speak a Chittagonian dialect of Bengali is a new concept. You must remember that not all Muslims, even in Rakhine state, identify themselves as Rohingya. The people who do have also obviously been there for a long time. The identity, though, has been used for political benefit by radical groups. And it seems only recently that a lot of these people have started identifying as Rohingya. A couple of years ago, for some of them. Actually, it was in the 1990s that it really became popular. But back in the 1950s, the Burmese government used the term Rohingya. Yes, they did, but you must also remember that not all of them were happy about that term. After independence in 1948, there was a Muslim rebellion in the north-western corner of Rakhine state. But even at the time, the rebels did not call themselves Rohingyas, they called themselves mujaheeds [fighters]. They wanted to join East Pakistan. That rebellion sort of fizzled out. Then, during the 1950s, some of these people started calling themselves Rohingyas, but not everyone. It was believed to have a separatist tinge to it. If you look at pro-Rohingya literature, they say there were several Rohingya ministers in the government in the 1950s. That is not true. There was actually one from that part of the country – Sultan Mahmud. He was a Muslim. But he did not call himself a Rohingya. He called himself an Arakanese Muslim. Also, U Nu, who was the prime minister then, wanted Muslim votes. That was one reason why he promoted that term. Irrespective of what the situation was in the 1950s, a large section of the Muslim population in Rakhine identifies itself as Rohingya now, and have been persecuted. How would you explain that? First of all, you have to realise that Burma has a big Muslim population. Most Muslims live in urban areas. They own businesses, have Burmese names and speak Burmese, and they are Burmese citizens. Muslims have a long history and have played an important role in the country. U Razak, a Muslim leader in the 1940s, was assassinated with Aung San [premier of the British colony of Burma] and is considered a martyr. Another leading Burmese Muslim was U Raschid, who was born in Allahabad. He was a highly respected student leader in the 1930s. Then there was Upi U Pe Khin, the leading architect of the Panglong Agreement [a 1947 treaty that established autonomy in the internal administration of the Shan, Chin and Kachin people in what was then called the Frontier Areas]. So, it is not Muslims versus Buddhists. The Rohingyas are different, though. They do not speak Burmese. They speak a Chittagonian dialect of Bengali spoken on the other side of the border in Bangladesh. So, a majority of Burmese people see them as illegal. That is unfair, though, because most of them have been living in Rakhine for a really long time. You had written earlier that the Arakan Rohingya Salvation Army “leaders and extremist group links point towards a wider regional agenda”. Why do you say so? The name itself. In their dialect, they call themselves Harakah al-Yaqin, which translates into the “the faith movement”. If you are an ethno-nationalistic group you do not call yourself a faith movement. Also, the leader of this group, whose name is Ataullah Abu Ammar Junjuni, is not from Rakhine. He was born in Karachi [Pakistan]. He later lived in Saudi Arabia where he was an imam. Sometime around 2012, he started to get interested in the issue. His parents are most probably from Rakhine state, he is not. So, he does trace his ancestry to the region then. Yes, sure. I have been listening to some of his tapes. He cannot pronounce the name of a single place in Rakhine state correctly. He speaks a Chittagonian dialect of Bengali peppered with Urdu words. Most of his close associates in the organisation are also from either Karachi or Bangladesh. Apart from that, are the group’s methods any different from other ethno-nationalist insurgent groups in Myanmar? Well, all the other ethno-nationalist insurgent groups in the country operate more or less like the traditional Army. All of them are dressed in uniforms, they have ranks, they are organised in platoons and companies and brigades. They carry automatic rifles or machine guns. The Arakan Rohingya Salvation Army’s methods are very different, the August attack demonstrated, as did their earlier attack in October 2016. They basically mobilise hundreds of villagers, surround their targets and give an impression that they are many more than they actually are. They have very few firearms. They mostly have daggers, spears, knives. Their ways are much more similar to the Maoist groups in Nepal and Central India than any other ethnic group in Myanmar. What would the strength of the group be in your estimate? We do not really know. Before August 25, the strength was in the hundreds. Maybe 500-600 organised cadre who had received some training in camps in Bangladesh. The trainers were all Afghan war veterans. A lot of them, around 150, are regarded as foreigners, including Bangladeshis. In addition, some of their fighters are from Pakistan, Indonesia, two from Uzbekistan, and a few who identify themselves as Malays, but we do not know if they are from Malaysia or southern Thailand. If they are a motley group of people who are probably not even from Rakhine, what brought them together to fight for an independent Rakhine state? Well, the rank and file of the group does include several local recruits. There are angry young men who are fed up of being treated the way they have been treated for years. But why would Pakistani and Uzbeks and Malays come there? Those guys are actually talking about a jihad. Do they enjoy popular support among people in the region who identify themselves as Rohingya? One must note that the timing of the Arakan Rohingya Salvation Army was well thought out. The Kofi Annan committee report on the crisis, which actually criticised the Myanmarese state, had just come out a few hours ago. The attacks completely killed the report. It was by no means a coincidence. They want a more militarised space. So, on one hand, while people are blaming them for provoking the Army, on the other, a lot of angry young men have turned to them as they had hoped. The Western media has been particularly critical of Myanmar leader Aung San Suu Kyi’s handling of the crisis. What would you say? Although Myanmar had fair elections in 2015, the military is still in the driving seat with three important ministries in its hands. What is happening is completely out of her hands. So, she really cannot do much in terms of ordering anyone. The military takes orders from its commander-in-chief, not from any elected leader. She has to tread a really delicate balance. Let’s say she came out for the Rohingyas. It would be political suicide. It is clear where most of her electorate stands on the matter. If she came out in support of the hardline Arakan National Party, she would get flak from the Western press. If she does not do anything, she would get flak too, as she has. It is an extremely delicate situation for her. The only thing she could have done but has not is that she could have gone to Sittwe [the capital of Rakhine state] and met some elected politicians. She does not like the leaders of the Arakan National Party, so she will not do that. But she had to just show that there is a civilian space in Rakhine too. She did not have to say anything, she could have gone to a hospital, met people from all communities. In the process, she could have widened a very limited civilian space. Unlike many Western democracies, India’s response to the crisis in Rakhine has not been of outright condemnation. Is that right on the Indian government’s part? Right or not is not for me to say, but Myanmar’s two most important neighbours, China and India, have not joined in the Western condemnation. That is obviously for strategic reasons. For China, Myanmar is important for its access to the Indian Ocean. For India, the country is the gateway to South East Asia. The Indian government has taken a very hardline stance on Rohingya refugees of late. It has even suggested that the Rohingyas could be a security threat. What do you make of that? It is probably motivated by security concerns. Are they a security risk currently? There is so far no evidence to say that. So, not really. But with almost 800,000 refugees in Bangladesh, where are they going to go? Bangladesh is already overpopulated. There is only one slightly less populated area, and that is the Chittagong Hill Tracts. And if my information is correct, the Chakmas and Marmas, both Buddhist communities, are very worried. What does the crisis mean for South Asia? It is probably a little early to say. Suddenly you have a huge refugee community in the area. It is no secret that a large number of extremist Islamic groups are looking to take advantage. Groups in Indonesia, Bangladesh and Pakistan have been fishing around for recruitment opportunities. If there is a militant response, it could have a very adverse impact on the region. Also, it is important to remember that there are elections in Bangladesh very soon. Remember that Bangladesh once offered to do joint operations with the Myanmar Army against Rohingya rebels and had initially even refused to take in Rohingya refugees. But when the trickle became a tsunami, Prime Minister Sheikh Hasina and the Awami League government changed their stance. This was to prevent the fundamentalist Bangladesh Jamaat-e-Islami party from exploiting the situation. If the Bangladesh Nationalist Party comes to power with support from the Jamaat, which is known to be close to Rohingya insurgents, there could be a serious security concern. That is why Sheikh Hasina is so eager to show that she is on the side of the refugees. What do you make of the recent repatriation agreementbetween Myanmar and Bangladesh? Oh, that is play for the galleries. It is not going to happen. First of all, there has to be verification. And most of these people have no such papers. The other reason is: do they want to come back? I think the brutality the Army unleashed was meant to ensure that these people never come back. And what will they come back to? Their houses are all burnt down. Do you see a solution to the crisis in the near future? That is the big question. I do not know, to be honest. Can they stay in Bangladesh? Yes, they can but that may mean trouble in the Chittagong Hill Tracts. A third country? Who will accept them?